Shiitake Mushroom Plugs for Outdoor Mushroom Growing! 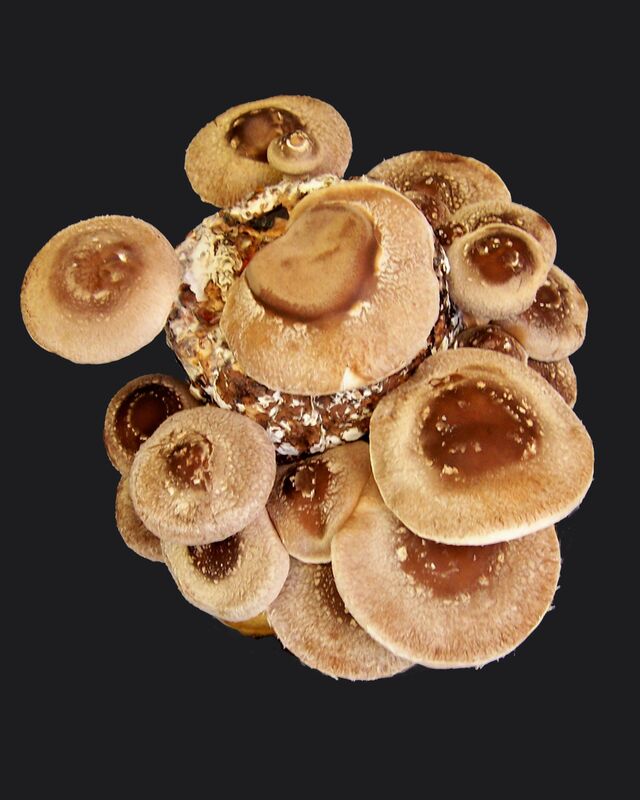 Sustainable – Grow Shiitake Mushrooms outdoors on Logs and Stumps. Shiitake Mushrooms are not only delectable, but they are also good for you. Shiitake Mushrooms contain all the necessary amino acids that are needed in our diet. Shiitake is higher in amino acids than peanuts, soybeans, corn and kidney beans. Mushrooms are also a important source of vegetable proteins, iron, fiber, minerals and vitamins. Shiitake Mushroom Plugs – Lentinus edodes, GMHP offers plug spawn of hardy gourmet and medicinal mushroom species: These sterilized birch plugs are grooved and fully colonized by pure mushroom mycelium, and are available in packages of approximately 100 or 300 dowels (Shiitake Plug Spawn is also available in packages of approximately 100, 300, and 1000 dowels). These Plug Spawn come complete with user-friendly instructions.